If the thought of a breach is keeping you up at night, this presentation will give you tangible recommendations on strengthening your information security strategy. 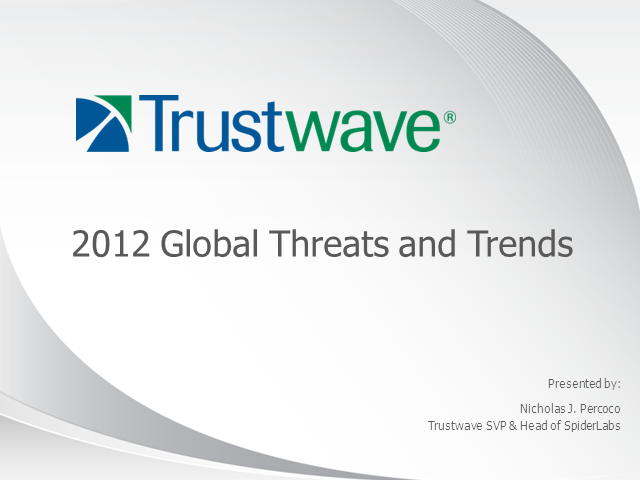 Based on the Trustwave 2012 Global Security Report, the presentation will feature data from more than 300 investigations and 2,000 penetration tests conducted in the previous 12 months. In today's cyber world, it's no longer a matter of 'if' a data breach will occur, but 'when." Attend this presentation to gain insight into the vulnerabilities that are affecting businesses today, and the strategic initiatives you can take to better secure data within your organization.